Circuit: 200MHz400MHz VOLTAGE CONTROLLED OSCILLATOR__ Circuits designed by David A. Johnson, P.E. 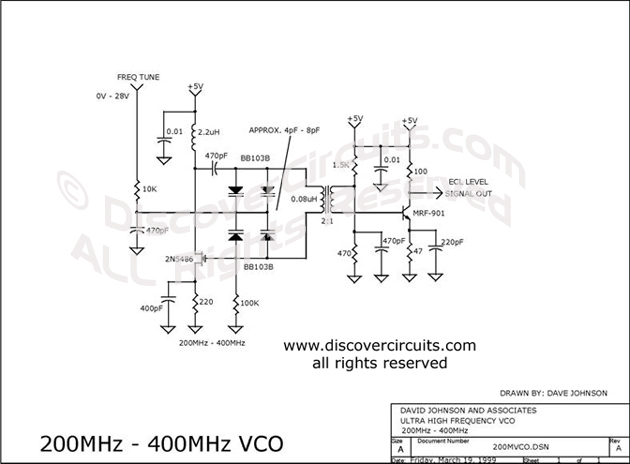 If you need a clean emitter coupled logic (ECL) type signal between 200MHz and 400MHz this circuit works fine. It uses four voltage-controlled capacitors to change the frequency.